Neuhaus am Rennweg – The Röchling company HPT Hochwertige Pharmatechnik GmbH & Co. KG, based in Neuhaus am Rennweg, is among the five finalists from Thuringia in the competition "Award for Medium-Sized Enterprises". In a grand gala in Würzburg, the finalists and winners of the renowned competition were honoured in the presence of famous names from the worlds of politics, economics and media. In the 21st year of the competition, the prize was awarded under the motto "Let there be light!" The winners were chosen in a rigorous three-stage process. In the first stage, medium-sized companies from across Germany were put forward for the award. There were more than 5,000 of these, Germany-wide, in 2015. The jury assessed the applications and nominated companies that met the challenging competition criteria to be included on the "jury list". In the third stage, the jury selected the finalists and award winners from these nominees. The winners were not announced until the evening of the award ceremony. Per region, three award winners and five other finalist companies were honoured. 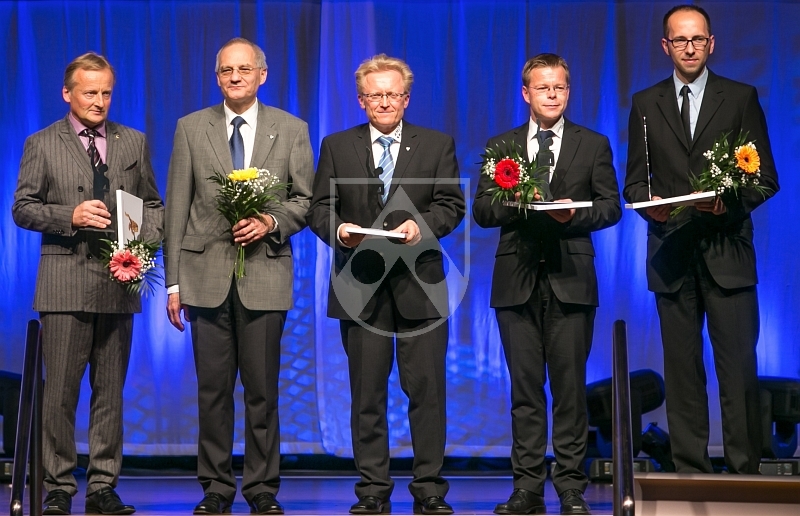 HPT Managing Directors Karl-Heinz Sladek and Manfred Riehl had the honour of going up on stage in front of more than 600 guests to collect the award as one of the five finalists from the whole state of Thuringia. The fact that the plastics specialist from Neuhaus took part for the first time this year, and immediately made it into the top group, is an exceptional and very rare achievement. "This is a wonderful validation from a third party, which is neutral and, most importantly, has been widely recognised for more than 20 years, for our achievements as a company in all of its facets; this is about far more than merely turnover and profits," says Director Karl-Heinz Sladek. "For this, we say thank you to the management team and ultimately to all of our staff, but also to our investors. Everyone has contributed to this, so we can all be really delighted together," says Manfred Riehl. This award supports Röchling-HPT in realising its strategic goal of being a leading employer in the Neuhaus region, as the company's further growth plans require additional staff who enjoy working here. The accolade, which has been awarded by Oskar Patzelt Trust, Leipzig, since 1994, searches for outstanding medium-sized companies from throughout Germany under the motto "healthy medium-sized companies – strong economy – more jobs". The "Award for Medium-Sized Enterprises" is Germany's only economic award to consider not only figures, innovations and jobs, but also the company as a whole and in its complex role within society. Spanning the industrial, trade, service and commercial sectors, companies were sought that display outstanding development and at the same time strong involvement in the Region.